I am so excited to finally be able to share with you some of the awesome new products in the brand new Stampin’ Up catalog! This catalog is full of wonderful ideas for card making, scrapbooking and parties! There are loads and loads of new stamps in wood mount, cling mounted and photo-polymer options including new large single background stamps and coordinating stamp sets with themes like birthdays, babies, florals, tags, borders, butterflies, words and phrase, friendship, animals, outdoors, kids and so much more. For quick but beautiful scrapbook pages there are a bunch of new Project Life collections and accessories. You’ll also find new project kits, embossing folders, patterned washi tapes, embellishments and thinlits and framelits metal dies. There’s also 5 new “in colors” in ink pads, pattern paper, markers, cardstock, and lace ribbon. The new catalog for Stampin’ Up has you covered for all your paper crafting needs! I’ve been dying to share some projects I’ve made, it’s been hard to keep tight lipped about all the fun new stuff! 🙂 For my first project (shown above) I made a card using the adorable Barnyard Babies stamp set. This set has so many cute farm animals with fun phrases. I used the horse stamp and water colored him with a technique found in the catalog using ink pads and an Aqua Painter. 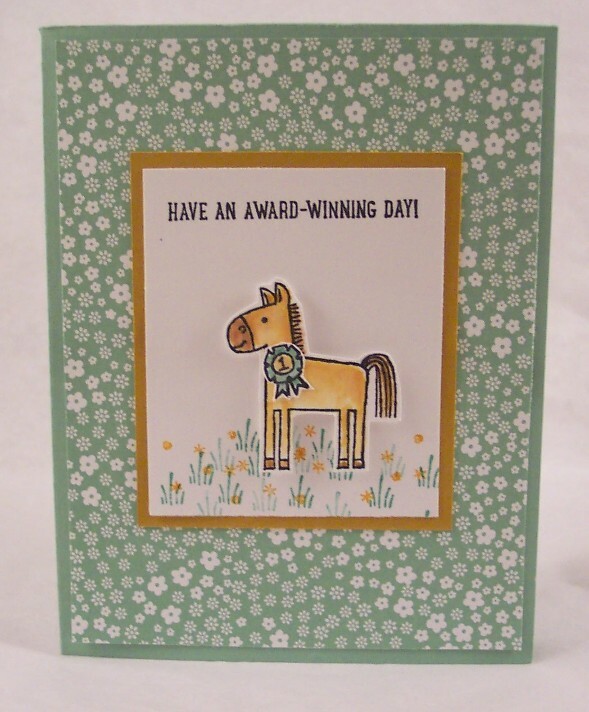 I also added the blue ribbon, grass and phrase from the set to the card. The pattern paper is from the In Color Designer series paper. Next I made the sweetest baby card using the Made with Love stamp set, this set has adorable baby animals, onesies and phrases. 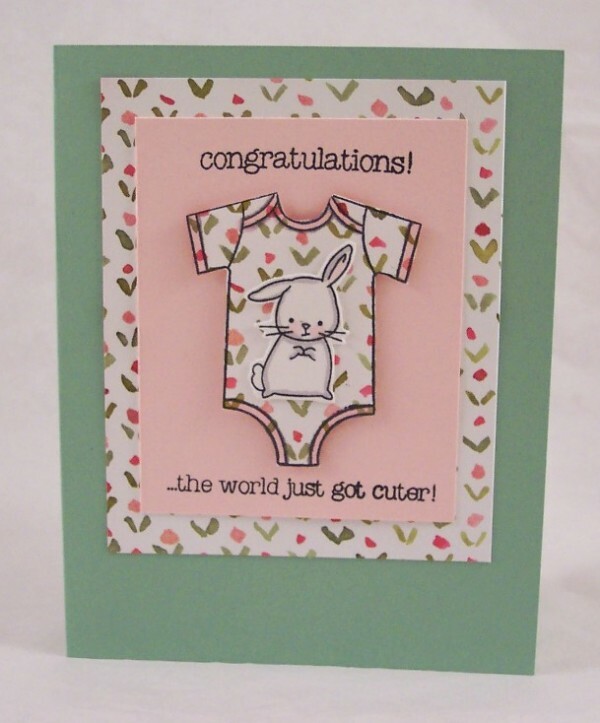 I stamped the onesie on a small floral pattern from the English Garden Designer Series paper, adding the bunny on top, adding the words and layering more of the pattern paper onto my card base. 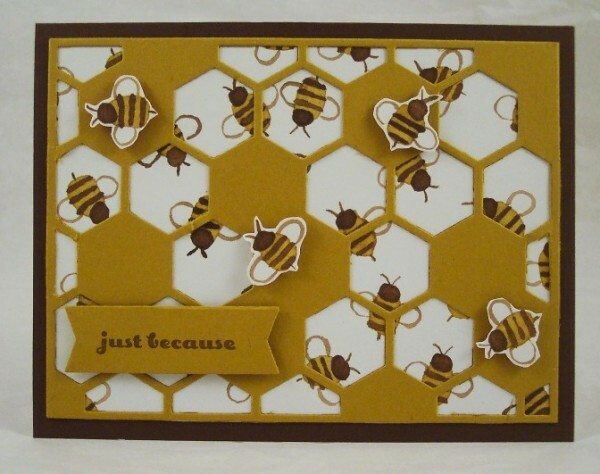 For my last card I used the pretty bee pattern paper from the English Garden Designer series and layered cardstock over top that was die cut with the Hexagon Hive Thinlits die, adding additonal bees I cut out from the paper. I stamped words from the And Many More stamp set on a piece die cut with a banner shape from the Circle Card Thinlits die set. The And Many More set has words and sayings for just about every occasion, it’s a great go to set when you need to add a sentiment to a card! Products from the new Stampin’ Up catalog are available TODAY! Click here to shop on line or contact your local demonstrator to place an order or have a party, if you don’t have a demonstrator you can find one here. I hope you enjoyed taking a look at my projects, be sure to check back soon for more ideas and projects made using more new items from Stampin’ Up!